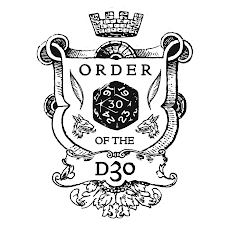 As of today, the OSR OGL BLOGOSPHERE MONSTERS PROJECT has 53 entries! w00t! Remember, today is the last full day to add your creature to the file! I'll close the file sometime during the afternoon of August 1, probably around 5 pm CST. 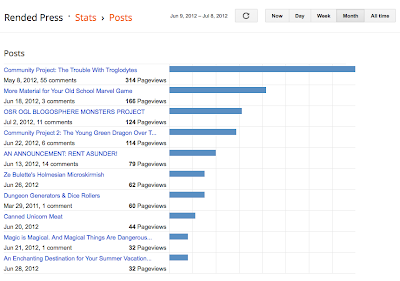 Remember: This is open to any creature you've posted on your blog at any point in 2012! You have one last day to do the cut & paste! Note: Please only share material that you feel comfortable appearing in a half-assed, crazy, DIY fan compilation. And don't forget about Community Project #2: The Young Green Dragon Over the Next Hill! Garth needs some love, folks. We've only keyed about 1/3 of the encounter. As of today, the OSR OGL BLOGOSPHERE MONSTERS PROJECT has 26 40 entries. I'll close the file sometime during the afternoon of August 1. So come on, people. Do the cut & paste! Quick & Dirty Creature Creation update! I've updated the Quick-n-Dirty Creature Creation dice drop table based on feedback from Chris Creel. He suggested I move Cthulhu to a corner (Bad Cthulhu! Go think about what you've done!) so that it's not so easy to drop a die on that box. I've also plunked in a special attacks table at the bottom, again by Chris' suggestion. EDIT: This dice drop table works great with the d80 table Porky just posted! I've gone dice drop table crazy! Because Telecanter asked for it, here is a Quick-n-Dirty Creature Creation dice drop table. I've altered his idea a bit; instead of using colored dice, I've gone for a "drop all the dice" method. Still, this should present some interesting results. Why No Weird West RPG Supplements? Here's a head-scratcher for you: why is there a dearth of Weird West RPG-specific adventure supplements? Sure, there are lots of fan-made adventures, encounter seeds, and support material for Deadlands that you could adapt, but why aren't there more specific adventure material for the Weird West RPG? Is it because it is too rules lite that folks don't think it is worth sharing their ideas? 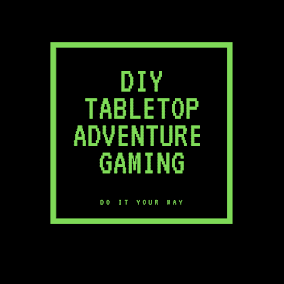 Yes, there was the successful Weird West Indegogo Campaign, so there will be minis, Weird West Character Cards, and a few maps by Matt Jackson--but these are ancillaries to actual adventures & setting materials themselves! 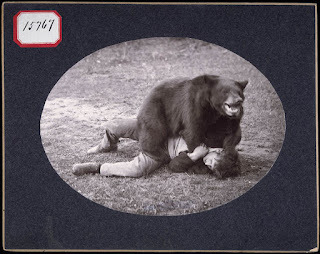 Simply put, we need more Weird West RPG specific gaming material. The Veiled Invocation - Now in Print! I received a nice surprise in my mailbox yesterday: a print copy of Dylan Hartwell's Labyrinth Lord compatible adventure module The Veiled Invocation. He had announced he was giving away some RPG stuff on his blog, Digital Orc, and I think that this is part of that giveaway. So, coolness and much praise to Dylan for sending me this awesome gift. And this morning I learned that you, too, can get your hands on a print copy! Dylan has decided to do a print run of The Veiled Invocation. At $3.99 (US), it's a reasonable price for a module that you could actually use to run a mini-campaign. Heck, I could even see this used as material sprinkled throughout an already existing campaign as a long-running side quest. I'm not one to beat dead horses before they are truly dead. But there's a horse over here that's whinnying away due to neglect. Community Project #2: The Young Green Dragon Over the Next Hill is still breathing. It might be on life support, withering slowly away, but it's still hanging in there, at least for now. Come on by and pay your last respects. Or maybe some kind soul can hit it with a defibrillator and bring it back to life. A Source for Free Maps! Need a floor plan of a building? Or a ground plan of a castle or church? I got you covered. In case you are living under a rock, there is a lot of controversy about this year's "Best Free Product" nominees for this year's ENnie Awards. As Justin Halliday explains quite well, this award category is a farce—all but ONE of the free products are either quick-start rules for a for-pay product, promos for paid products, one-day free downloads, or, of all things, a conversion guide between campaign settings. And all of the nominees except for that conversion guide are from established, commercial publishers. Seriously—and especially in regards to that conversion guide—WTF?!? I have lots of free PDFs from RPG/OSR blogs and small-press or indie publishers and yet NONE of them were nominated. Why wasn't Secret Santicore nominated? Why not Heroes Against Darkness? Or the Hills Canton Compendium? Or the Lands of Ara Compendium. Or Blackmarsh for God's sake? 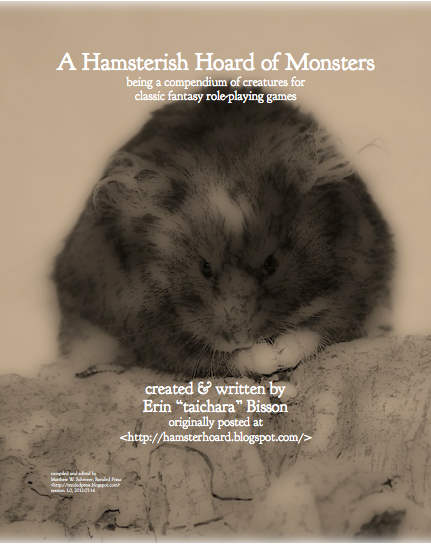 In August of last year, I announced I was working on compiling all of the wee beasties that taichara has posted on her blog, A Hamsterish Hoard of Dungeons and Dragons. Please consider signing up for Dropbox (and installing the Dropbox software) via this referral link. Dropbox gives you 2GB of FREE online storage. For every person who signs up and installs the software to sync a Dropbox folder to a Dropbox account, I get a free 250MB of storage. This storage space is what I use to keep serving up all these delicious morsels of RPG goodness. WHEREFORE ART THOU, O OSR BLOGOSPHERE MONSTER PROJECT? 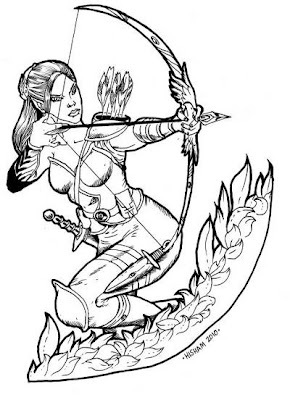 As of today, the OSR OGL BLOGOSPHERE MONSTERS PROJECT has ten entries. Ten. 10. Come on, people--comb your blogs and do the cut & paste. I'll leave the file open until the end of July. If you've posted a beastie to your blog, cut & paste it into the file. Let's get this thing cranking. I know it's mid-summer. I know you are tired and blogged out. But I also know you got more than 10 creatures hiding in your blogs. Per Tim's suggestion . . .
LET'S OPEN THIS SUCKER UP TO ANY CREATURE YOU'VE POSTED SO FAR THIS YEAR! Despite being one of the most viewed posts this month, the OSR OGL Blogosphere Monsters Project only has 10 contributions. Come on, folks! I've read a lot of blog posts in June that were about new creatures. Definitely more than 10. So, you know, come on and add your creature to the file. Hey Guys! Take a break from your Google+ hangout game and fill in a room of our newest community project: The Young Green Dragon Over the Next Hill. What is the deal with my cleric's religion? He just really likes potatoes. The dwarves forge. The evil dwarven forge. It's the forge that's evil, not the dwarves. Poor dwarves. Did you not read the answer to the second question? Moron. It's a toss up between Buttercup and Holgrofth Snaggletooth. Bob. But he doesn't know it. Shhhhh. Magic is frowned upon here. But there's a witch in the eastern hills of Frogssothmuthth who might be able to help you out for a price. On this day in 1996, a smart-aleck Marine, a nerdy computer programmer, and an alcoholic redneck saved the world from alien invaders. May the world always be grateful for their sacrifice. Hey! Here's a crazy-batshit-insane idea! Let’s collect a month’s worth of monsters from the OSR blogs! Below is a link to an editable Google Docs word processing file. Copy & paste any creatures you’ve posted on your blog during the month of June 2012 into this document, including the stat block. Include a link back to the page on your blog where it originally appeared. Insert a page break after adding your creature. I’ll leave this document here, open for two weeks (until July 16). After that, I’ll close the editing, alphabetize the entries, slap in the OGL and post a PDF for download. And then I'll start a new file for July!